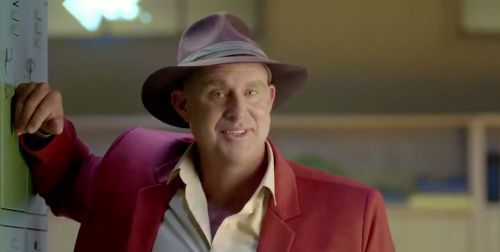 Former Aussie opener Mathew Hayden has come out with a hilarious reply to Virender Sehwag's "babysitting" advertisement about the upcoming India-Australia series. The new commercial shows Hayden giving a fitting reply to Sehwag in "the babysitting challenge". It all started in the Border-Gavaskar trophy between Australia and India where Indian wicket-keeper Rishabh Pant and his Aussie counterpart Tim Paine were involved in a comical banter about babysitting. With India and Australia set to meet again in a few days, Sehwag had come out with a commercial a few days in which a few toddlers were dressed in Australian jersey. The ad was received well and Hayden has now featured in a Star Sports ad responding to it. India's squad for the Australian series was announced yesterday and the tour will begin with the T20Is. The first T20I will be held on February 24th at Vishakapatnam while the 2nd T20I would take place at the M Chinnaswamy Stadium in Bangalore. Virat Kohli has returned to the Indian squad, which can also see young Punjab leg-spinner Mayank Markande make his debut for Team India. With just a handful of games left before the World Cup, the Indian team will look to gain momentum ahead of the all-important event. A few vacant spots in the team would be filled by the end of the tournament and the players would then be a part of the IPL. On the other hand, Australia will look to win a few games before Steve Smith and David Warner come back to the team.